After bringing its voice-activated Assistant to phones and speakers, Google is now working with gadget makers to build in support for the service into headphones, starting with Bose and its new QC 35 II Bluetooth set. You’ll need an iPhone or Android device for this to work, of course. Once you’ve paired your headphones, you can simply push a dedicated button on the QC 35 II to invoke Assistant and issue commands for things like making calls and playing back your messages, favorite playlists or even the day’s top news stories. That’s not a whole lot different from what you can already do with Google Assistant (and previously, Google Now) – I’m using a $25 pair of wired earphones to do most of those things right now by simply holding down the play/pause button and barking a voice command. So there’s not a lot to be excited about just yet. Perhaps the only difference in that area between my buds and the QC 35 II right now is the fact that you can call up Assistant with the dedicated button even if you’re not listening to anything. However, it’d be great to get more out of Assistant while wearing headphones and not directly interacting with a phone or smart speaker; you can already do things like add calendar appointments, but I’d like to also play back my last WhatsApp message and reply to it instantly. Hopefully, that’s the path Google will choose to take with future hardware integrations, and the company hinted in its blog post that it might work with more brands in the future. 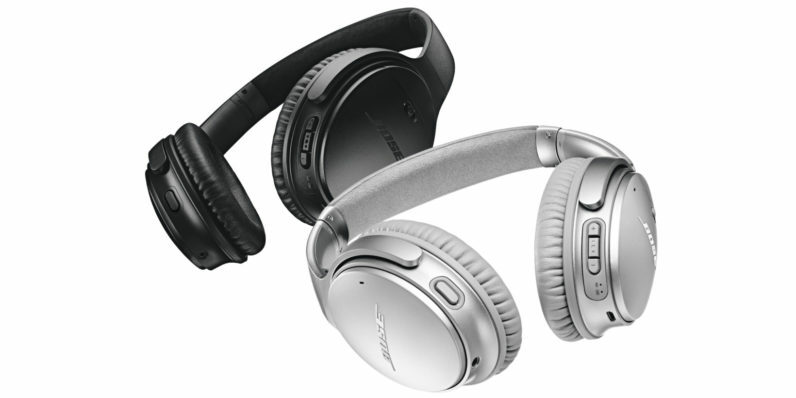 If you’re keen on the QC 35 II with built-in noise cancellation, you can pick it up right now for $350; Assistant will work with it only in the US, UK, Canada, Australia, Germany and France.